Nicholas, a student of the legendary Charlotte de Silas, cuts gems to reveal each mineral’s inherent attributes or special beauty. 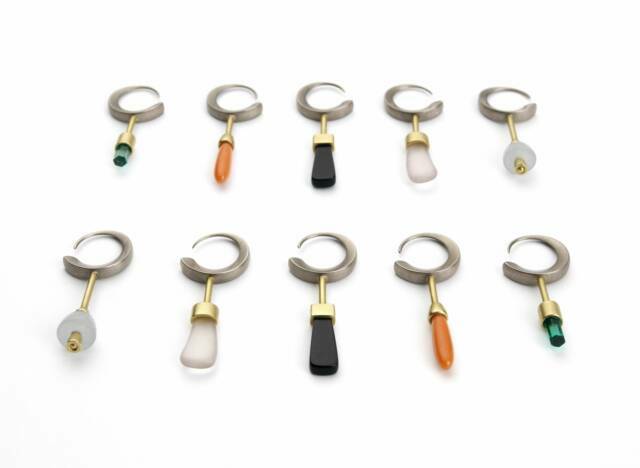 He then crafts metal around these unique shapes to create wearable items inspired by a classical ideal first explored in ancient Hellas and revived by the Renaissance artists of Florence. 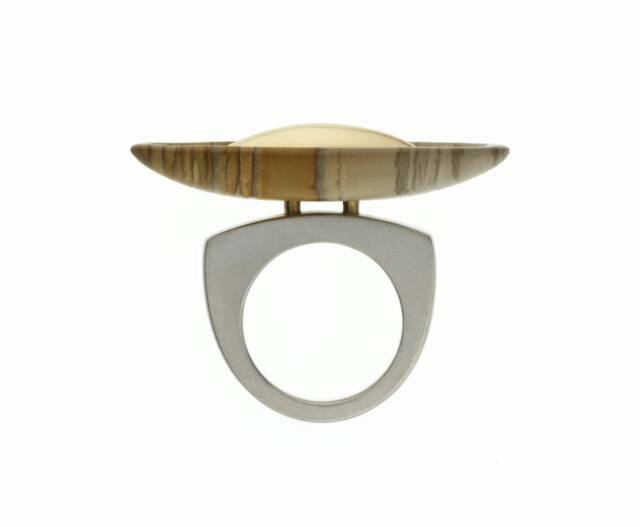 Nicholas, who first showed at London's Lesley Craze Gallery in 1995, says: “Each piece I make is a one-off. My desire is to stimulate the senses, triggering aesthetic pleasure that comes from within us, drawing on a consciousness that we all share." 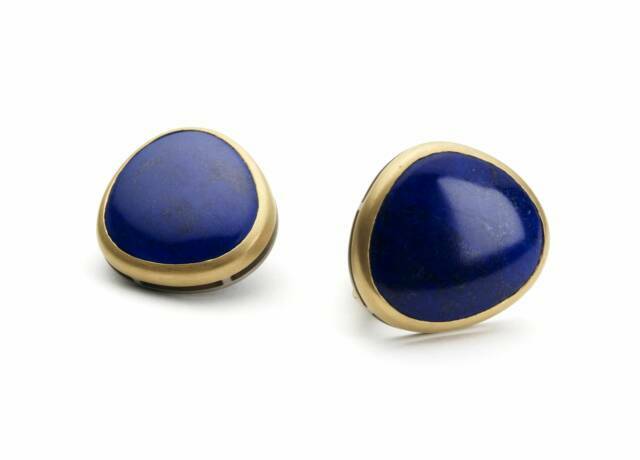 Earrings in lapis, 22ct and 18ct gold (2006) . Necklace in 18ct gold. 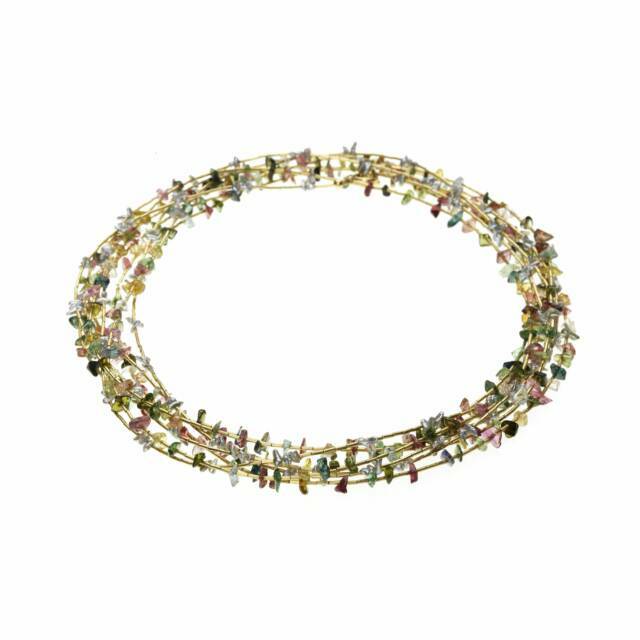 tourmaline and keishi pearls (2009). 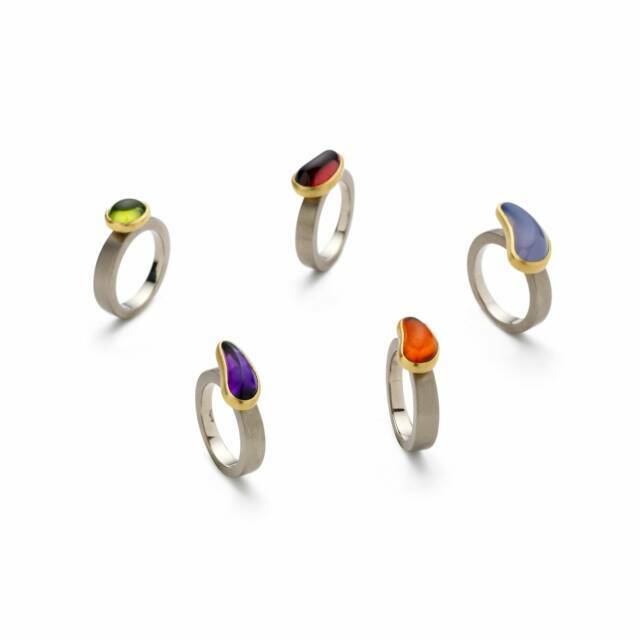 Rings set with peridot, garnet, blue chalcedony, fire opal and amethyst (2006). 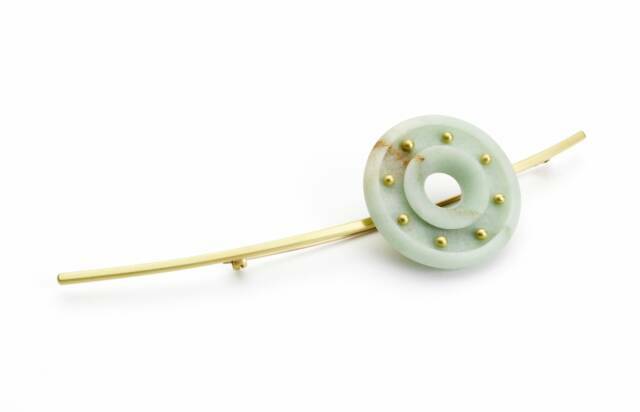 Green jade brooch and 18ct yellow gold (2008). 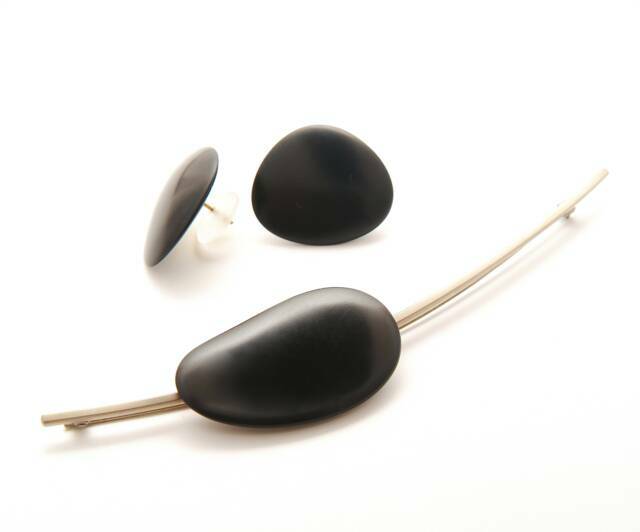 Black jade brooch and earrings (2008). Earrings set with emeralds, coral, black jade, morganite, aquamarines (2006). 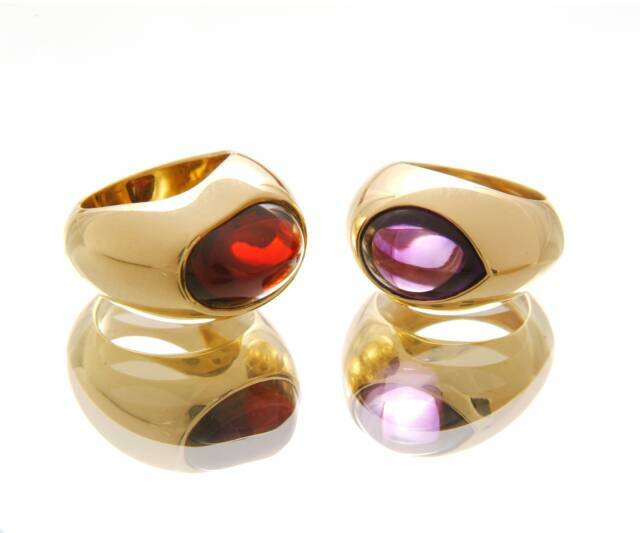 Rings in 18ct gold, garnet and amethyst (2008) Photo: SImon Chapman. 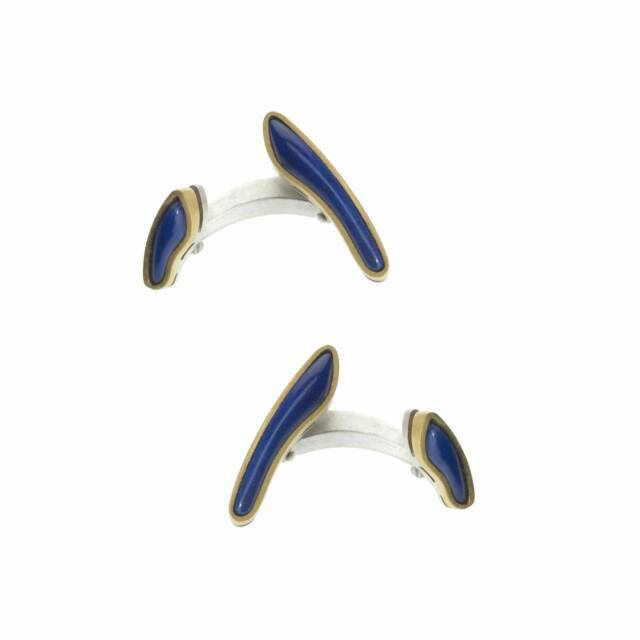 Cufflinks in lapis 22 ct gold and silver (2008). Hand-carved Amethyst pendant on 18ct. 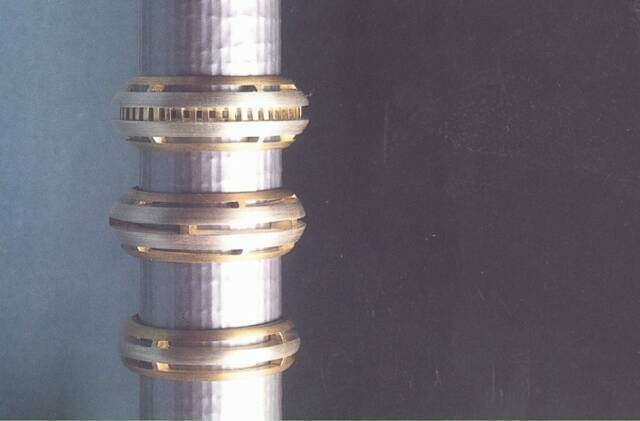 yellow gold cable (2009). 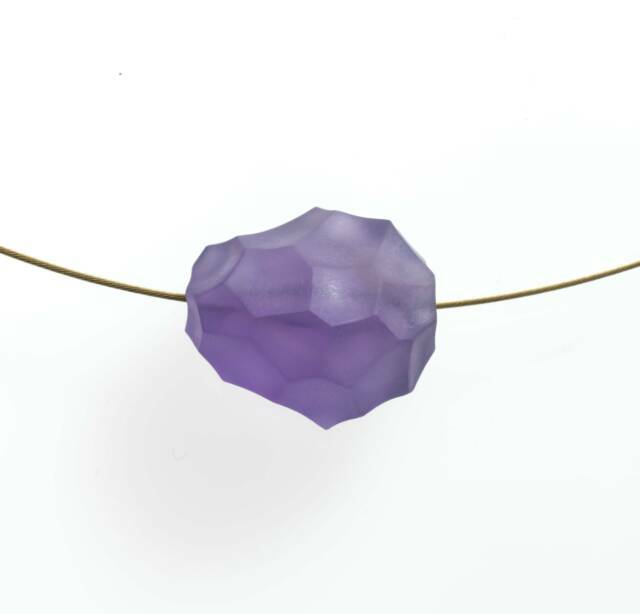 Biconical bead in rock crystal and 18 ct yellow and white gold (2007). 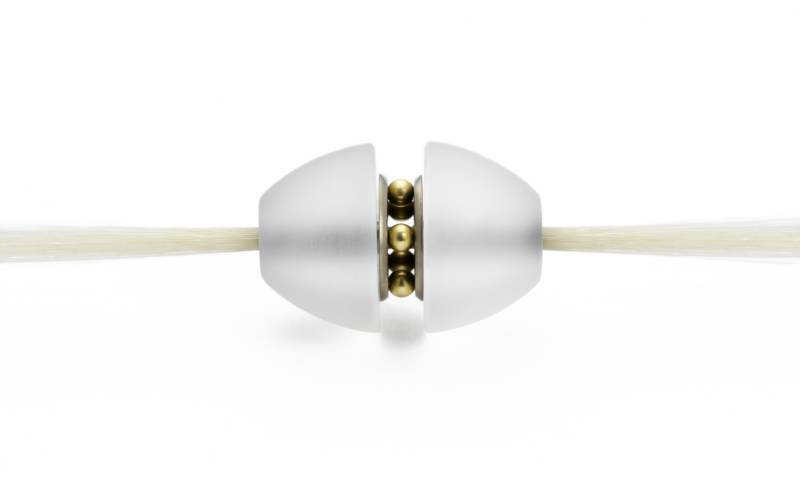 Biconical bead in rock crystal and 18 ct yellow and white gold (2008). Brooch in 22ct and 18ct white gold, black jade, rose cut diamond and opal (2007). 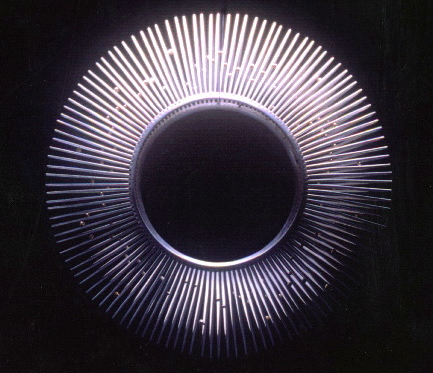 Ceremonial bangle in silver and 18 ct gold (1995). 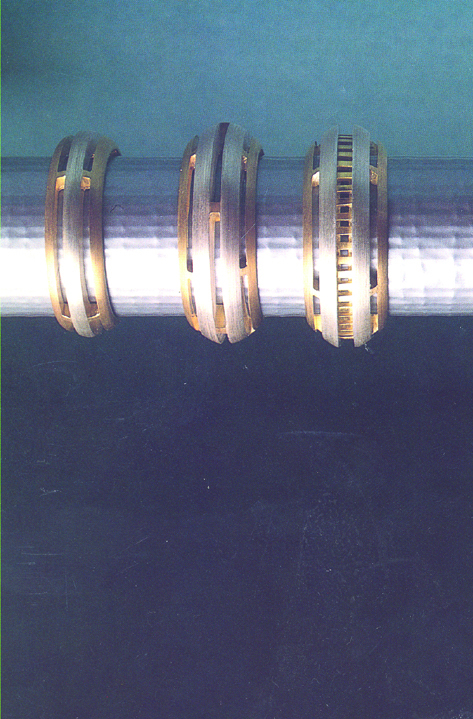 Rings in silver and 22 ct gold (1995).